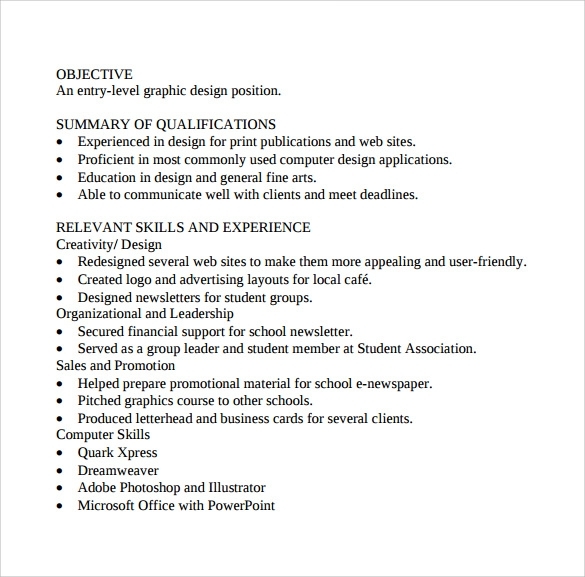 The demand for graphic designers in web development side as well as in corporate sector is fast catching up. 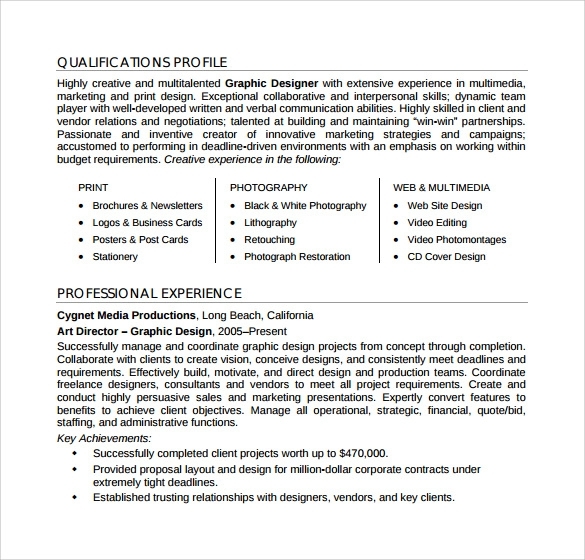 Even the animation sector the graphic designers are needed. 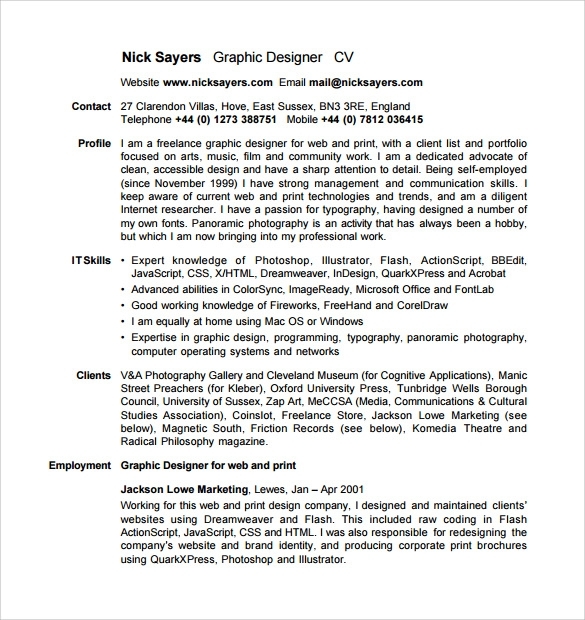 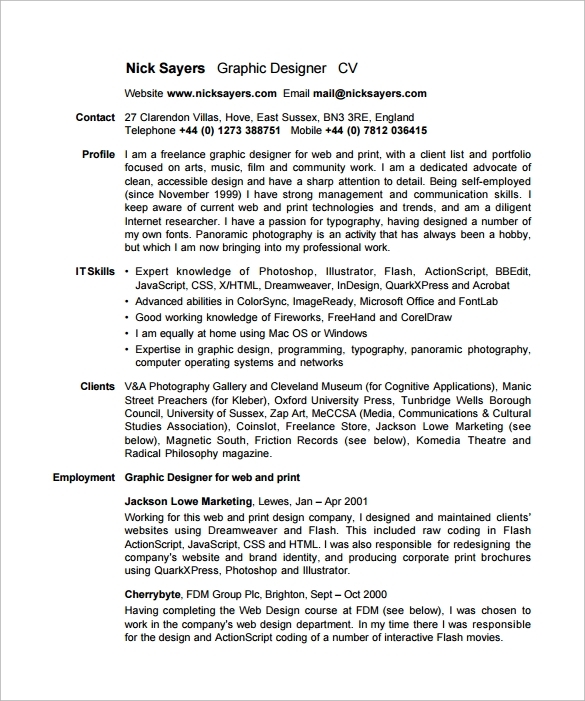 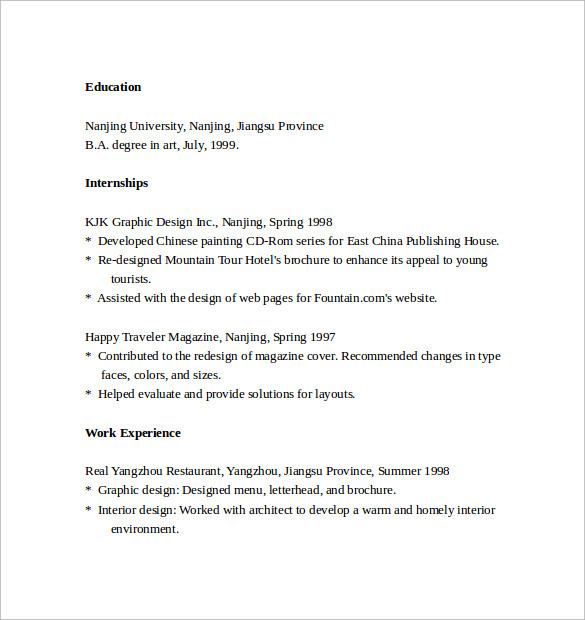 A graphic designer should be creative, innovative and imaginative.Branding and marketing yourself is the path to reaching career goals in the freelance design copy writing, or web designing An eye-catching and memorable resume is expected from graphic Designer Resume Templates more than ordinary jobs. 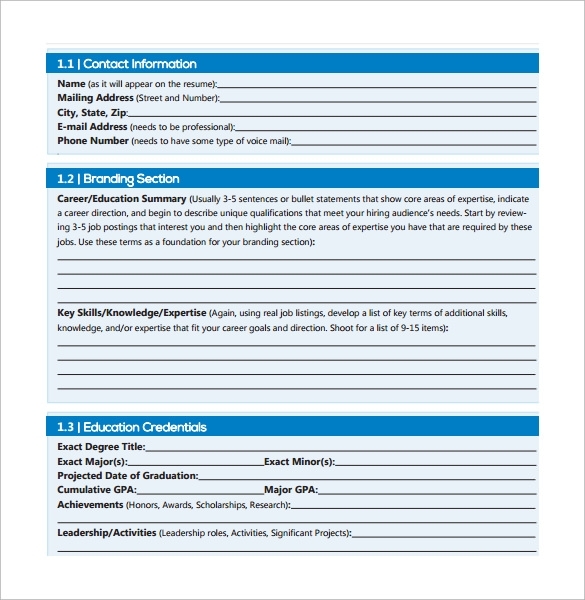 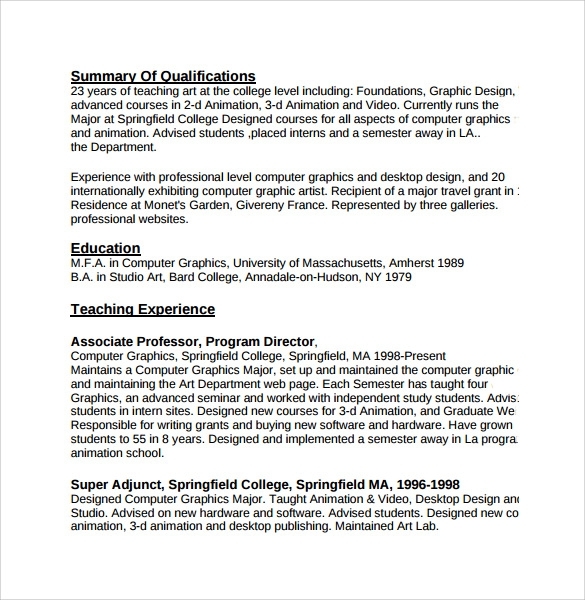 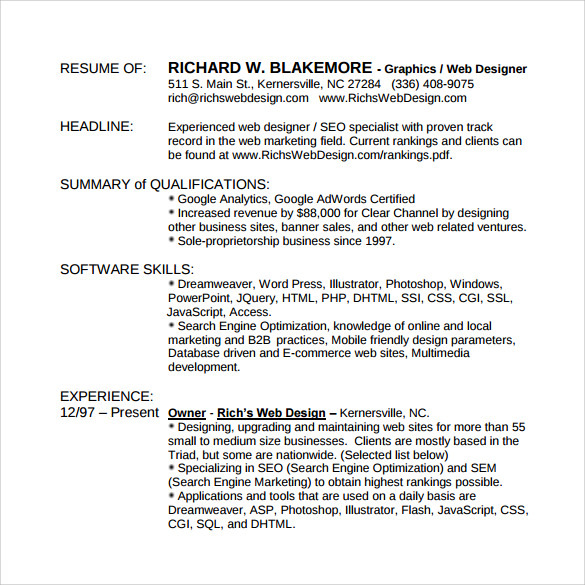 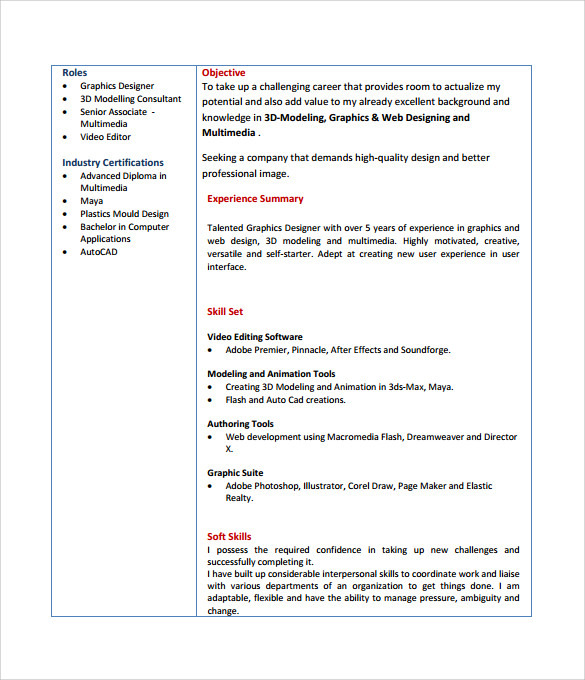 It is a showcase of your talents well presented to your prospective employer.A template for Graphic Design resume can be downloaded from the net in the word, PSD or PDF formats as desired by the candidate.